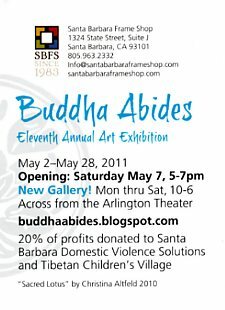 It’s time for the 11th annual Buddha Abides Exhibit! 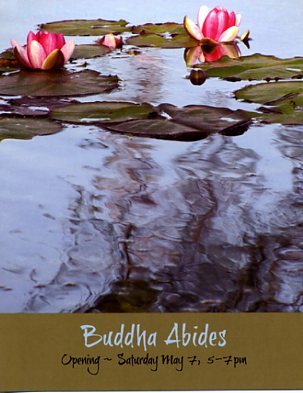 I’m excited that my image “Sacred Lotus” was chosen for this year’s posters and cards. 1324 State Street, Santa Barbara, 93101. The opening is Saturday May 7th 5-7 pm ~ The show will be up May 2nd to the 28th. There is always amazing original art for a worthwhile cause as 20% of the profits are donated to Santa Barbara Domestic Violence Solutions and the Tibetan Children’s Village. I have been busy printing up a storm I have a couple of images from my recent trip to Singapore and Thailand. There are some amazing Buddhist Temples there. I visited the Buddha Tooth Relic Temple in Singapore several times. It was quite impressive with it’s four stories, roof garden and Buddhist Museum with over 300 artifacts.